To call Some Photos of That Day a photobook of Polaroids would be disingenuous. On the surface this book is simply thousands of Polaroids placed in chronological order between two covers. What it really represents is the continuation of the late Jamie Livingston's magnum opus: a series of 6,754 photographs taken every day starting on March 31st,1979 and ending on October 25th,1997, the last day of his life and 41st birthday. Livingston's "project" is undeniably complex because it works on multiple lines of reasoning on why such a project would be important to begin with. It could be interpreted simply as an artist's view of his immediate world or as a commentary on how life changes so slowly and often just as quickly. It is a portal to a world of the 80's and 90's in New York City that documents a time of transitions in New York City history as it mirrors the rise of the downtown club scene, the advent of punk rock, new wave and no wave music, the rise and fall of Soho and the East Village as centers of art and culture, when empty or underutilized spaces in lower Manhattan were taken over by a vital demimonde of kids too “interesting” for their hometown re-inventing themselves in the city. A time when the Twin Towers were surrounded by vacant lots, flanked by an abandoned and crumbling elevated highway, and across the street from a beach where construction had stopped in the 1970's. It records the Reagan, Bush and Clinton eras and ends just four years before 9/11, a day that not only changed New York but cast his Polaroids as mementos of a lost and distant world. Lastly, it is a story. An honest, raw, and transparent story of a man going through life just like the rest of us, a true contemporary of ourselves that enables us live another man's life, even if it's just between the covers of this book. 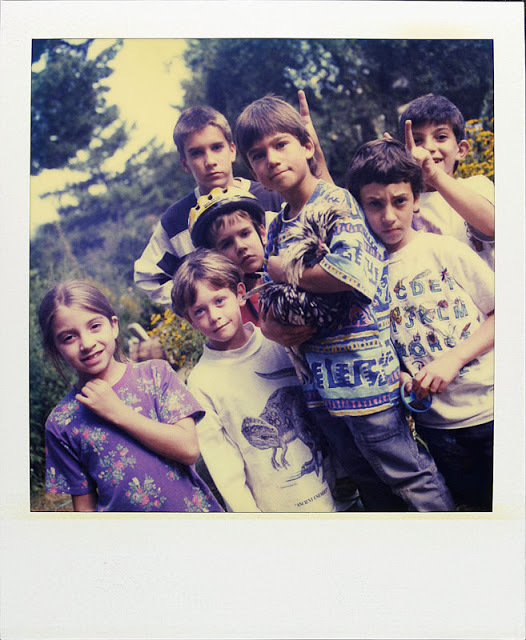 This project started when Jamie Livingston was a senior at Bard College in 1979, when he acquired a Polaroid SX-70 camera and began photographing his friends and surroundings. What began as a novelty soon turned into an obsession. He simply didn't quit. In the 80's Livingston went on to work as a filmmaker and photographer in NYC for MTV while also playing music and performing with the avant-garde street performance outfit called Janus Circus. 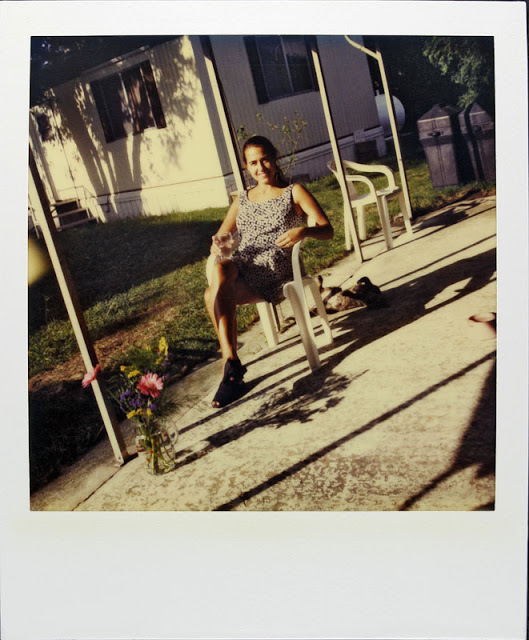 While he transitioned through life he kept his strict rule of taking a Polaroid a day, finding inspiration in the mundane as well as the world around him, leaving us with images that help us discover who Livingston truly was; perhaps as he discovered the same things about himself. Livingston's project took a turn on May 2nd, 1997, when we discover a Polaroid of him in a hospital bed hooked up to oxygen and IVs. 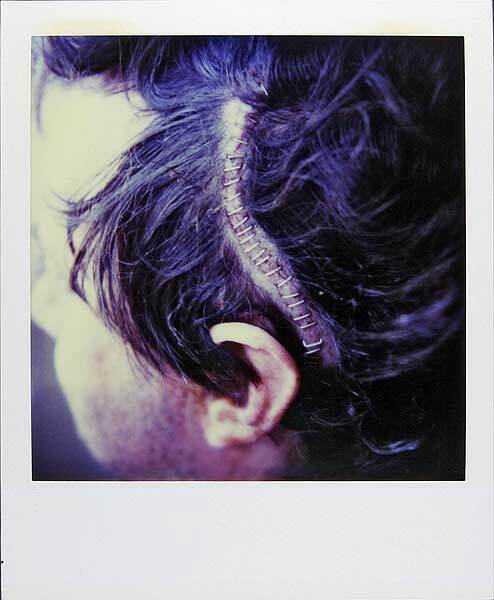 At this point we don't know what has happened to Jamie but on May 4th, 1997, a Polaroid depicting large staples on his head makes it clear that he was dealing with a serious condition, what we now know was a malignant brain tumor. From this time to his death on October 25th, 1997, his 41st birthday, we see an amazing series of deeply intimate events taking place in his life. Livingston offered us a glimpse into his fading but brightly burning life including his balding (and growing back) of his hair through cancer treatment in the Summer of 1997 and his engagement and marriage in the Fall of 1997. Shortly after this joyous occasion we find him back in the hospital with a friend playing the guitar. The next day was the last day of Livingston's exceptionally well lived life. Livingston's friend Hugh Crawford was in Redmond, Washington on October 25, 1997, the day after his death and immediately flew home to New York. As the days after Livingston's death progressed, a huge crowd of people gathered on the ruins of the old White Star Line pier at 12th street in Manhattan for a memorial and to launch some of Livingston's ashes over the Hudson river in a rocket. The fascinating thing about this gathering was that although many of the individuals there knew each other for decades, there was an equal amount of people there had known Jamie but not the other. Yet, they all said they were there because Jamie was their best friend. Crawford talks about how Livingston's project affected his life: "I always thought making the Polaroids probably enhanced Jamie’s social life because everyone wanted to be in the photo of the day. The photos were of friends, family, himself, special places he had visited, or just things that caught his eye. In one of his journals Jamie writes of waiting several hours for shadows to line up just right at a place he had visited the day before. Other times it would be just before midnight in a bar and he would gather a lineup of the usual suspects to photograph. 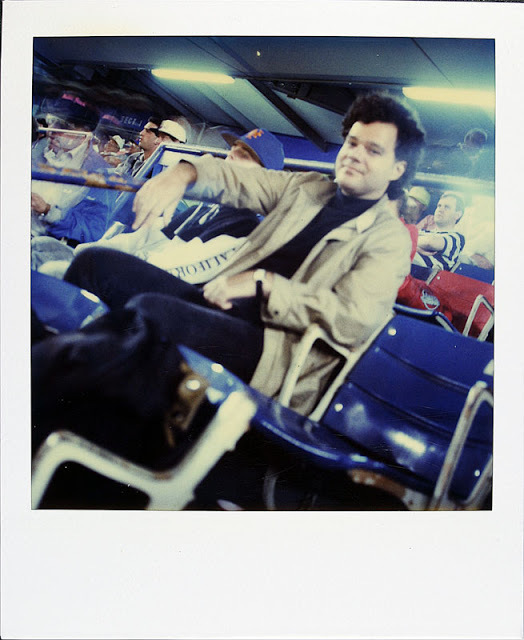 On the other hand if he went to a Mets game the Mets game always made the cut." As the years progressed after Livingston's death the people close to him began thinking that "someone" should "do something" with his Polaroids. 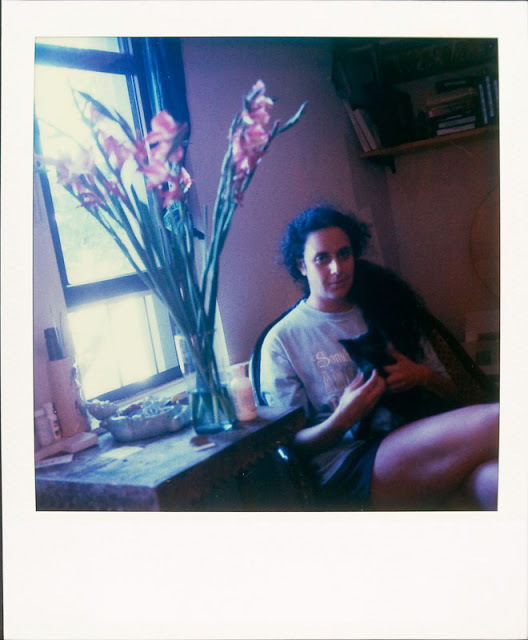 With the assistance of Betsy Reid, Crawford and her rephotographed each Polaroid for archival purposes. In October 2007, these archived images were put to use by a group of Livingston's friends by the organization of an exhibit at Bard College, his Alma Mater. On October 25th, 2007, the tenth anniversary of his death, six and a half thousand Polaroids were presented at Bard College's Bertelsmann Student Center that covered 7x120 feet, making a wall of photographs representing Livingston's life's work that began at that very college. The life of these photographs didn't end at this exhibition. In October 2008, a reporter from Mental Floss discovered the website Hugh Crawford had created featuring Livingston's photographs and the word started to spread. After this article went up Some Photos of that Day went viral. Since that time, Livingston's photographs have been viewed by 40+ million people around the world and have been featured by a variety of mainstream news outlets over the last decade. 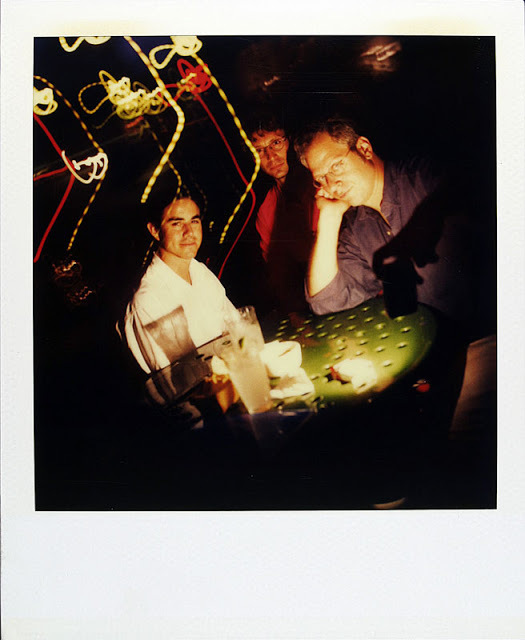 Most recently, on July 7th, 2017, Crawford launched a KickStarter Campaign to fund the creation of a book project to display and immortalize Livingston's Polaroid project for generations to come. Crawford tells us about his decision to create this project in book form: "I'm not going to be around forever. The website won't be around forever either. Every few years some bit of web technology changes or a hosting service changes its terms and conditions and I have to redo the site. Books have been around a long time and if you spread a thousand or so of them around the world chances are that some of them will be around for a very long time from now." By August 7th, 2017, Crawford raised $35,907 of his $35,622 goal and the project was officially green lighted. As of February 2018, Crawford has mailed a literal ton of books to his backers and supports of this campaign. The best news is that you still have a chance to purchase your copy of Some Polaroids of that Day, Livingston's Magnum Opus. It contains 6,754 Polaroid photographs over 780 pages and weighs ten pounds. You can order your copy by clicking HERE! Crawford grew up on a dairy and walnut farm in the Central Valley of California. By design or accident he became an "interesting person" in 1975 and found himself attending Bard College, a well known magnet for young people with interesting person syndrome in the Hudson Valley near New York City. Intending to dual major in painting and filmmaking, it was suggested to him by the painting and filmmaking departments to split the difference and major in photography. It was through this decision that he met Jamie Livingston, who was a film student as well as a collector of interesting people. After graduation Crawford spent a few years in NYC photographing at CBGB, the Mudd Club, Danceteria, Studio 54, etc. and worked for some magazines and was the house photographer for Fiorucci. He took a year off to live at Rokeby in Barrytown, New York planning to go back to New York City and commercial photography but ended up going to CalArts to get his Master in Fine Arts instead. After living in a camping trailer in the parking lot of CalArts and accidentally getting elected vice president of the student body, in 1985 he drove back to New York City and opened a studio on Ludlow Street, down the block from Katz's. Over the course of his life he saw Livingston less and less as life happened to each of them. Crawford got married (and Livingston was his best man) and settled in Brooklyn wanting to become an Art Professor. At the same time, the internet was beginning to boom and Crawford found himself working as a software architect through the 1990's. This is the reason we found Crawford in Redmond, Washington the day he received the phone call of Livingston's death. He was at Microsoft watching Steve Ballmer throw chairs across an auditorium stage. However, that is a story for another time. Please enjoy the following interview and leave your questions and comments below in the comments box. Connect with Hugh Crawford on his Website and via Email! Michael Behlen: You met Jamie Livingston while attending Bard College in 1975. Can you tell us your first impression of him? Hugh Crawford: To tell the truth, he just sort of faded into my consciousness, everyone I knew, knew him. I don’t remember ever being introduced or anything. MB: How did your relationship evolve? HC: Jamie was at the center of a large group of kids that had known each other for years growing up in NYC. I was from California so I never quite figured out all of their relationships for years, but everyone would sort of gravitate to Jamie. MB: Jamie’s project, what would become the Some Photos of That Day, began in March 1979. Did he share anything with you about starting this project? What do you think motivated him to embark on such a project? HC: I don’t think he ever consciously started it so much as noticed that he was doing it already and committed to continuing it. I was doing a similar Polaroid project at the same time where I would take a photo of someone and they would fill in their name and address. I actually started my photo address books because I had a terrible time remembering names. I think that something we had in common was making art that we didn’t really understand and then figuring it out later sometimes years later. There was a lot of that “discovering your art practice” stuff in the air back then usually in the realm of performance or conceptual art. MB: In the early 1980’s, the beginning of Jamie’s project, he was working as a cinematographer in the media industry with companies like MTV while you were photographing clubs like CBGB, the Mudd Club, Danceteria, Studio 54, etc. How did you keep in contact and what did you do together when your schedules allowed it? HC: He would make a point of checking up on you if he hadn’t heard from you for a while. One time when I picked up the phone and the entire conversation was “beach day, I’ll be there in 10 minutes with the car” We also spent a lot of time at the Great Jones, going to old camera swap meets, or collaborating on other peoples art projects. Also, there were several stretches where we would only see each other once or twice a year. When I was in California for 2 years getting my MFA at CalArts for example. The time that I was doing all the CBGB, Mudd Club, Xenon, Fiorucci, Danceteria, Studio 54, he was living in upstate New York near Bard and I would go up there on weekends ( club life was dead on weekends in NYC ) then for about a year I was living up there and he had moved to NYC but we still were seeing each other all the time, often at the local swimming pond. MB: In May 1997, Jamie’s health began to decline. He was diagnosed with cancer and he candidly photographed himself in his hospital bed and captured his recent brain surgery staples. In early October 1997, he captured his proposal and marriage to his girlfriend. Do you feel that Jamie was more or less candid during this period of his life? HC: I actually wasn’t in the inner circle at that time. Jamie kept his illness a big secret for as long as he could because in the film business projects take years to complete and being sick can make you un-hireable. I had a six-year-old son and a less than a year old daughter when Jamie died and my wife had difficult pregnancies with both. Also, my wife was in the film and event business herself up until when my daughter was born, and I got involved in an internet startup a couple of years before Jamie died. I was actually in Redmond Washington at some Microsoft presentation when I got word that Jamie had died. MB: As Jamie’s health was failing, you and Betsy Reid promised that you would help his project live on. What can you tell us about Jamie passing the torch from documenting his own life to hoping that it would live on with a life of its own through you? Was the specific moment of communicating this to you or was it topic that evolved towards the end of his life? MB: How well did you know Betsy Reid at this point? How did you meet, how did you decide (or Jamie decide) for you two to work carry on his work? HC: I was introduced to Betsy “I’m seeing this girl but you probably won’t like her because she’s a big sports fan” (I am somewhat famously indifferent to sports, although I enjoy the drama and narrative of watching an 18 inning Mets game with Mets fans). Jamie, Betsy, my wife Louise, and I became “couples friends” Jamie had actually married Linda Schaffer who I think I maybe met once before he died. MB: On October 25th, 1997, Jamie passed away on his 41st birthday in New York City’s Mt. Sinai Hospital. He had set up the camera to frame the very last picture of his body in the hospital bed. 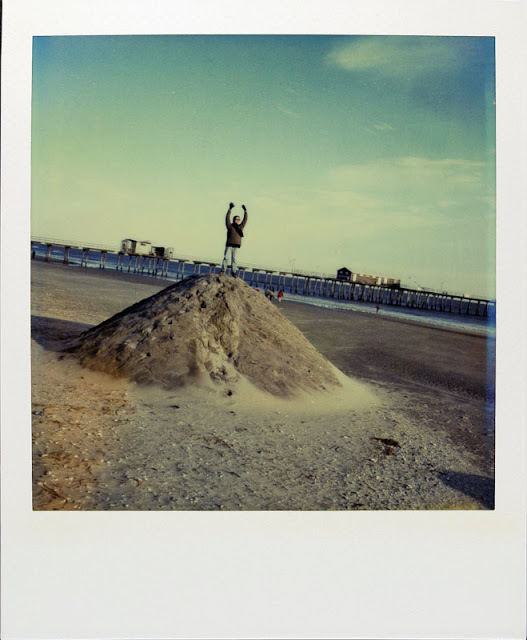 This was the last image of his 6,500+ Polaroid project. What were his thoughts about “finishing” his project this way? HC: I was told recently by Christopher Wangro, the founder of the Janus Circus and often house and loft mate of Jamie’s, that he took the last photo to complete the series. Jamie had been using a Leica tabletop tripod and a self-timer to set up self-portrait photos from the early years. Everyone who wasn’t there assumed that that was the way the last photo had been set up. I never asked about the details, but I know that he had spent some time organizing the photos in their storage boxes and was obviously thinking about documenting his final weeks. I also know that Jamie had made jokes about the Photo Of the Day (his capitalization ) or P.O.D. being the project that would go to the end of his life as early as the second year he was working on it and mentions it in the notes reproduced on the back endpaper in the book. MB: A couple of days later a huge crowd of people gathered on the ruins of the old White Star Line pier at 12th street in Manhattan for a memorial. There were around a hundred or so people there for the event, and most didn’t know each other; yet, everyone said they were there because “Jamie was their best friend”. This in itself is a powerful tribute to a person who loved everyone. What role did his passion for photographing his friends and family play in his development of relationships with all of these people? HC: I think that the passion for networking and keeping all his friends in touch was primary in his life. 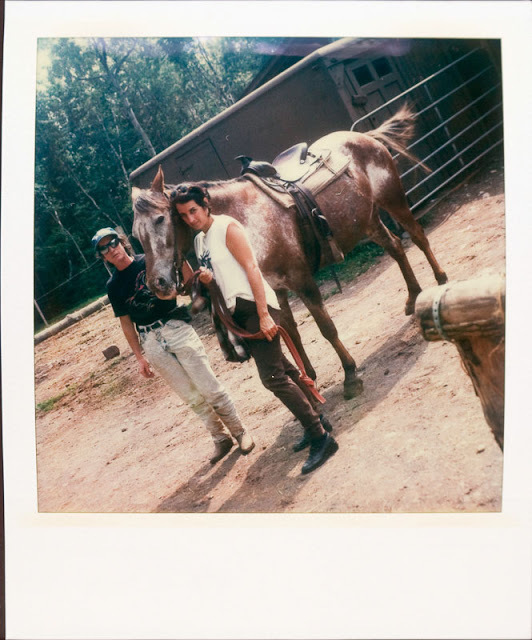 Since this project was documenting the quotidian day to day of his life much of the time it was friends and remarkably little family, and sometimes it was elephants, Shining Path Guerrillas, Amazonian natives, or a Rolling Stone. MB: Your promise to help Jamie’s project live on resurfaced in 2005 when Betsy Reid helped you re-photograph each Polaroid that was neatly organized and stored in chronological order. How was it that Jamie kept all of his images so neatly arranged and stored? 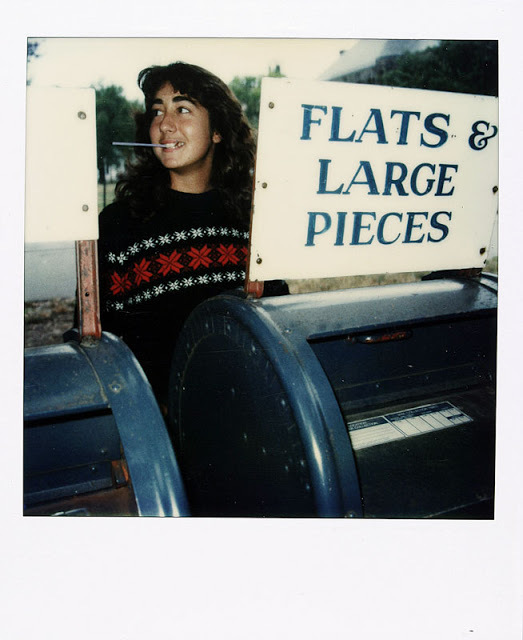 Most individuals would have shoe boxes full of unmarked and undated Polaroids. What sparked your motivation to capture and digitize Jamie’s project? How did his system of organization help you in breathing life back into his project? HC: I gave Jamie one of those rubber date stamp things in 1980 and there was a time when the photos were not very well organized but he had them pretty well organized by the first anniversary. Keep in mind that for the first 10 years every march 30th he would lay out all the photos on the floor and rephotograph them then repack them, so he basically re-organized them at least 10 times. MB: In October 2007, on the tenth anniversary of Jamie’s death, a group of your friends combined funds and printed reproductions of all of the images for an exhibition at Bard College. 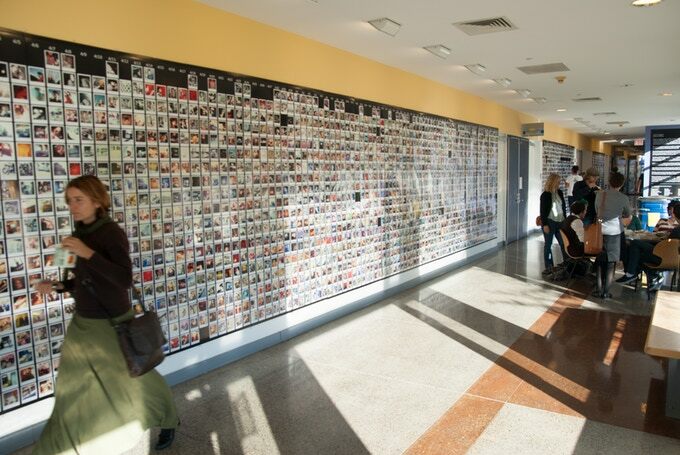 The 6,500+ images were hung on a wall and covered 7x120 square feet of space. How do you think Jamie would feel about his entire project being shown at that place where it all began? The last 18 years of his life on display for the world to see? HC: Jamie was able to see the humor in almost everything, so I’m sure he would have thought it was funny. The prints were life-size and in the space where there was a lost or missed day’s photo someone glued a Polaroid of people playing pool on a pool table in the next room. We agreed that it was something that Jamie would have done. MB: During the same time in 2007, the website you were creating for Some Photos of That Day was small and only a few friends knew about it. In December of 2008, Chris Higgens of MentalFloss.com found your website by chance and wrote an article about it and the whole project went viral. Since then, the website has had 500+ Million views. How has your experience been with individuals who have wanted to know more about the you, the website, and Jamie? Have you ever felt that the project was “enough” and should be interpreted as such? Does doing interviews, such as this one, takeaway from the project in anyway or does it help to bring clarity to the small glimpse the viewer has been given of Jamie’s life? HC: For a long time, I went out of my way to leave the site as much of a mystery as it was when people first discovered it because it made it easier for them to bring their own interpretation to it. Recently I have been trying to provide more context to the site and I have also tried to acknowledge how it has served as inspiration for a lot of other people. 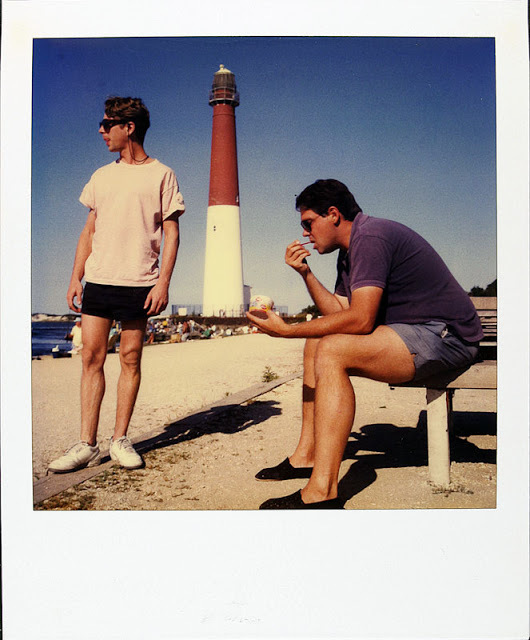 MB: On July 8th, 2017 you launched a Kickstarter to fund a 752 page hardcover book containing all (or approximately) 6,564 Polaroids from Some Photos of That Day. What was your motivating factor in launching this project? MB: The book will be published on Jamie's 61st birthday, October 25, 2017, which is a very fitting date. How you do you feel his body of work has evolved (or not evolved) as a whole since its inception in 1979? Has the reception of his project changed through the discontinuation of Polaroid film and the rebirth of it through The Impossible Project? HC: The discontinuation of Polaroid film was literally what I was writing about when I included a link to the site in a comment on “The OnlinePhotographer” web site. MB: How does it feel to be the keeper of someone’s lifetime project? Does it feel weird to be combing through his memories and experiences from a project perspective? How does it affect you personally? HC: 6,564 Polaroids is a lot of photographs for a reader to take in as a whole. A reader can flip through the pages of the book as if it was a movie, or be transported to different places in time depending on how they chose to consume it. How do you think Jamie would have consumed it? How do you think others will? MB: Is there anything else you would like to share with us? A story, a glimpse, or technical information? HC: The really interesting thing to me is that I have been working on this since late 2004, and have photographed each Polaroid twice, done all the post processing work, printed the show, done the book layout, proofed it a few times, and have probably looked at each image dozens of times, but I am still finding things I have never noticed. The most recent example of “How could I have not noticed this before?” was when I found a photo of Kris Kristofferson rolling a joint with Willie Nelson. MB: Do you have any upcoming books or projects that you are working on? HC: I’m working on two books It Must Have Been A Fabulous Party and How To Be Interesting. The first is mostly photographs from 1978-1982 of the downtown art and club scene of NYC, the second is something else entirely, what the New York Times refers to as “Advice, How-To & Miscellaneous” , but with pictures. Michael Behlen is a photography enthusiast from Fresno, CA. 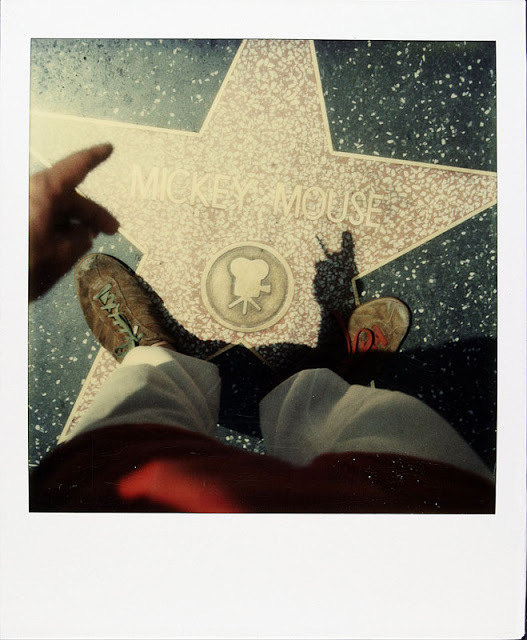 He works in finance and spends his free time shooting instant film and backpacking in the California wilderness, usually a combination of the two. He is the founder of Analog Forever Magazine. Connect with Michael Behlen on his Website and on Instagram!